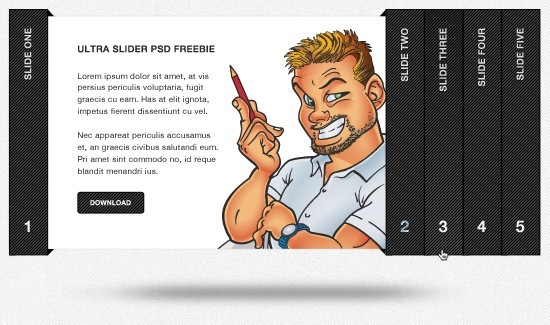 This exclusive freebie on Six Revisions, brought to you by www.bestpsdfreebies.com, is a design mockup of an accordion slider that can be used to display content. It comes in 3 variations. Each slider variation has a unique texture design with a hover effect on the 3rd slider tab. 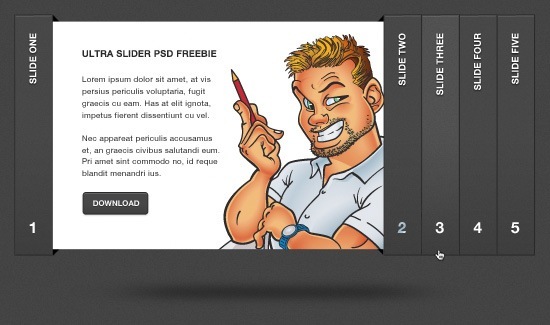 This freebie comes in 3 separate and neatly organized PSD files that allow for endless customizable options. 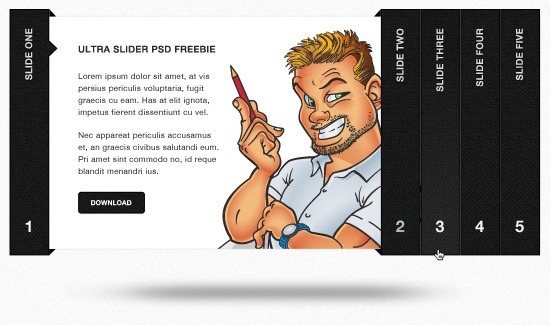 Feel free to use this accordion slider for personal or commercial projects. If you would like to share this accordion slider, help us spread the word by linking back to this web page. Thank you!